PopUp Shops from all over the country: If you love shopping or simply exploring what’s buzzing in the market, then The Lil Flea has to be on your bucket list. 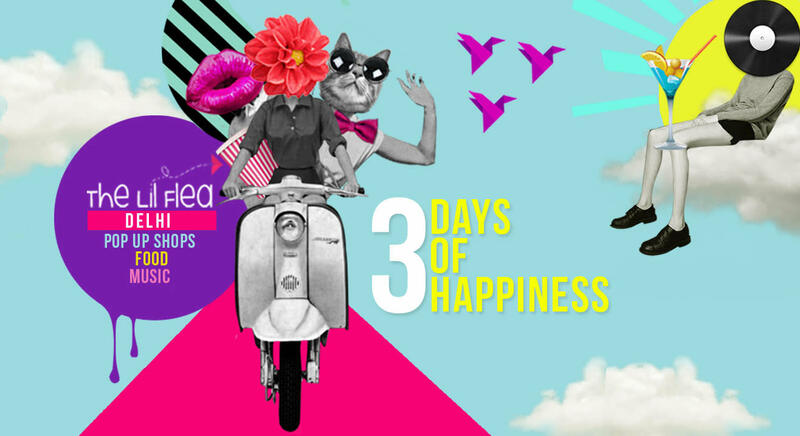 The Lil Flea brings together some of the best homegrown shops from acorss the country with contemporary apparel, quirky printed shoes, chic bags, handmade jewellery, digital pop art and heaps of cool things to keep shoppers busy for a whole day or more. Indie Music: Feast on some of the best Indie Bands from Bombay and Delhi in this edition. Among the ones that we recommend are Delhi’s favourite Prateek Kuhad, Bombay’s Boombay Djembe Folas with their African sounds, Filter Coffee & Tejas Menon. One Little Tree: Join this small but amazing movement to help improve the way we live and the air we breathe. Collect your free seeds to plant in your home, adopt a plant or learn the art of organic gardening.